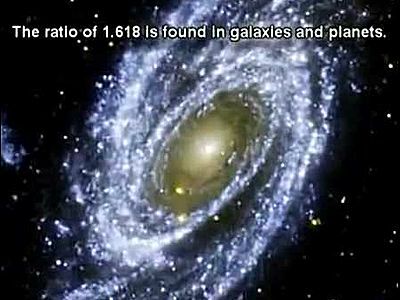 The year 5778 is finally upon us and the entire world has been witnessing the changes over the past year with the ominous signs recognizable to all. For 5778 years the Earth has been circling the Sun at 66,600 miles per hour, or 107,000 kilometers per hour if you use that system. Most people will recognize 666 as an apocalyptic sign but be that as it may, it is also a deep Kabbalistic concept and the numerical value of 2/3. 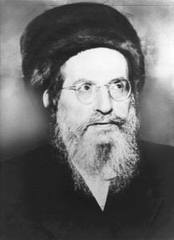 Rav Ashlag of blessed memory used that principle to determine the year of 5778 as the time of the geula (final redemption), and the Arizal hinted at its use to determine a specific date within the year 5778. Equally significant is that the sum of the integers from 1 to 107 is also 5778 and that there are 107,000 letters in the Torah preceding the 10 Commandments, which were given in the 70th Chapter in the Torah, but that has already been written. Since the beginning of consciousness, the biblical birth of Adam, the Earth has been hurtling through space at 66,600 miles per hour, and when it traveled exactly 1,666,666,666,666 miles, King David was born. 35 years later, at the midpoint in David’s 70-year lifespan, in the year 2889 HC, we reached exactly the midpoint to the year 5778. Let that sink in for a moment, and connect to the journey that began with Adam, paused with David, and brought us to this fateful point in time. The ancient kabbalists told us that ADAM (אדם) stands for Adam-David-Moshiach(א–ד–ם). 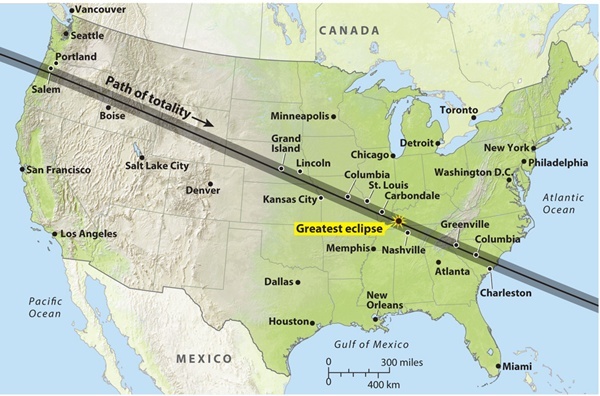 After David, the Earth continued its journey and when it traveled a total of 3232323232323.2 miles around the Sun, the United States of America was formed. It was 1776 CE. Then 101010101010.1 miles later, the Earth reached a total of 3333333333333.3 miles and Israel became a nation. The year was 5708(1948 CE). Notably, the Archangel Michael, of gematria 101 is the guardian angel of Israel. This is more significant considering the Biblical and Zoharic prophecies of the 70 nations of the world gathering against Israel in the end-of-days, and the vicious anti-Semitic sentiments orchestrated by the Erev Rav and boiling up all over the world. These prophecies are thousands of years old and are relevant only now as Israel approached 70 years of nationhood. 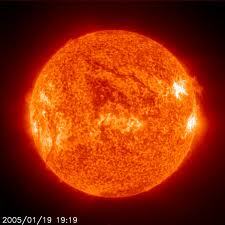 The Earth continued circling the Sun at 66,600 mph and the planet started to heat up—what we call global warming. This heating up over the last 70 years brought the average surface temperature of the Earth, to 57.78 degrees, in alignment with that of the surface of the Sun, 5778 K.
The Earth will continue circling the Sun we assume. The question is will we chose to keep riding it, or get off? Which world will we choose to live in? It is no longer a matter of whether we will choose to go through the gates when they open, but whether they will even open for us. We have been given the tools to make that happen, eyes to see and ears to hear. 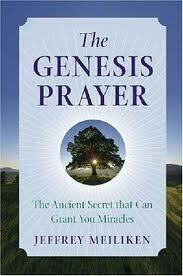 We will discuss the key tools below and hopefully strengthen your beliefs for without them no tool can help you. After all, our souls have already had 5778 years to decide what they really want. The Torah scroll is arranged into 42 rows and 248 columns, and all the columns, except for 6 specific ones, begin with the letter Vav (ו) of numerical value 6, as in the 6th millennium when most of the Jewish prophecies called for Moshiach’s arrival. The number 248 is the numerical value of Abraham(אברהם), whose letters permute to Reah MB (ראה–מב) or “See the 42.” This arrangement of the Torah with its focus on 42, as in 42-Letter Name of G-d, is crucial for us in these final days. These 6 letters at the heads of their respective columns spell out B’YH Shmo (ביה–שמו) and they have the numerical value 363 along with an ordinal value of 57. Both these values are the exact same as H’Moshiach (המשיח), the Messiah. 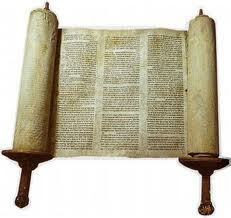 Neither the Torah, nor G-d’s messages in it are mbiguous. What matters is if we are ready to receive them. If the other 242 columns seem to point to H’Moshiach it must be noted that they can also represent the 242 years from when the 13 colonies of the United States became a nation in 1776 CE to the year 2018 CE (5778), this year. The complete gematria value of B’YH Shmo is thus 363 plus 57 or 422 when the kolel of 2 is added for the 2 parts of the equation, and as noted in The Divine Calendar, 422 is the numerical value of the word for 70, specifically as in 70 CE when the Second Holy Temple was destroyed. 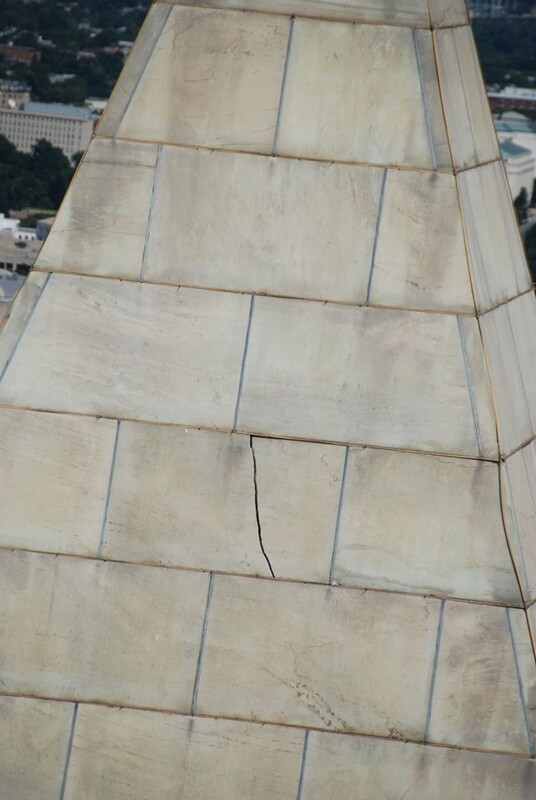 We make this connection because the year -422 BCE is also when the First Holy Temple was destroyed, in 3338 HC, and because 5778 x .5778 = 3338. There are no coincidences, only choices. The divine intent is unambiguous. We were given eyes to see; what we choose to look at is our choice, and ours alone. In truth, we judge only ourselves. Our fate is entirely dependent on the choices we make. Hopefully, the revelations herein enclosed will make those choices clearer. 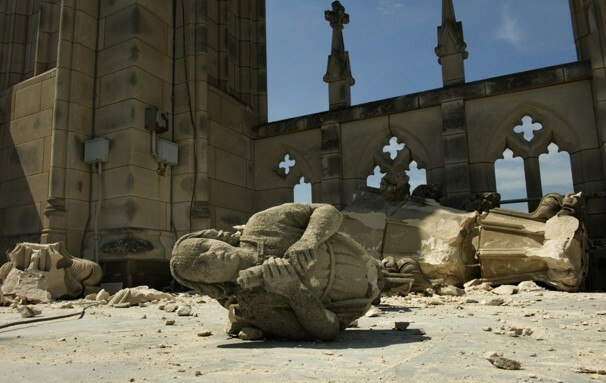 We should pray for G-d’s will to be done mercifully and for mankind to suddenly awaken before it is too late. This window in time will be temporary and we need to take advantage of it while we can. This year, 5778, we complete 66.6 jubilee years since the giving of the Torah at My Sinai, which was the last opportunity we had for Moshiach consciousness in our world, the last time we touched Binah, a state of immortality and instate understanding. That time, we collectively rejected it. Binah is a spiritual sea where everything is instantaneously connected and these connections are openly understood by all who ride upon it. 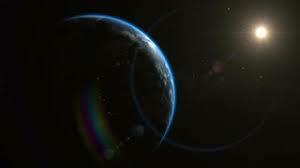 The Earth has traveled a great distance in those 3330 years and G-d has expended great efforts on our behalf to align the worlds for us for the 3rd and possibly final time, at least for us. 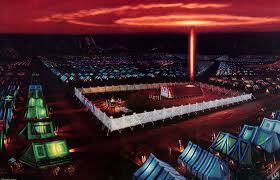 The Zohar indicates that we needed to reach a critical mass of like and positive consciousness of 600,000 souls. Alternately because of the two Shins (שש) of numerical value 300 each on the tefillin, we would have needed 100 minyanim with like and positive consciousness praying for Moshiach/ Binah consciousness and the unification of the Shechinah with Hashem. Instead, the majority of the population, including far too many Jews, have unwittingly succumbed to the negative influence of the Erev Rav, just as they did 3330 years ago with the golden calf. These are the same people working so hard to divide the United States in two and create World War III. So where does that leave us? Barring a sudden shift in the common consciousness, we must make our connections individually, and prepare ourselves to receive the gates . 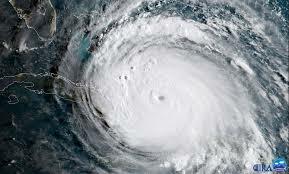 Besides the normal prayers, and besides studying Zohar as much as possible, there are three connections that can bring us closer to the docks of unification and help prepare our sails for the winds of Binah that soon approach. Caution though: nothing can prepare us for what is to come if we choose to ground ourselves in the lower world of malchut. That is the first choice we must make. We have to want Moshiach and enlightenment over physicality and we have to want it with all our hearts, not as a hedge to our bets. Before children reach the age of 5 they see many wondrous and scary things that we cannot. It is because they believe. If we do not believe something is not possible it will not be possible. It is as simple as that. If you want to connect to the spiritual realm you must first believe—truly believe—that it exists. Our eyes see what we let them see. The Kabbalists describe our world as the world of illusion and Satan as the master illusionist. The three places of intense connection to the spiritual realm, and specifically to Binah, are the Torah’s first verse of gematria 2701; the 42-Letter Name of G-d that stems from that verse, of gematria 3701, and the 1000 letters of the Shema that bridge the 1000 value gap between them, the 1000 chambers of Moshiach. We have written about the Torah’s first verse and the 42-Letter Name extensively and will add even deeper connections for them soon. Today, it is imperative we bring out a deeper understanding of the Shema for everyone. In this I am fulfilling a promise to Rav Brandwein of blessed memory to publish this enlightenment for the whole world. This article is not meant to be a comprehensive analysis or explanation about the Shema prayer, which would fill volumes; it is meant to illuminate numerous highlights of the prayer have been previously concealed from the average student and are only now being revealed because the darkness of our days necessitates it. So why 1000? Kabbalistically, and as a matter of counting, 1000 represents completion, just as in the complete Tree-of-Life that has 10 sefirot (dimensions) subdivided into 10 sub-sefirot and those in turn into 10 additional sub-sefirot or 10 x 10 x 10. Notably, when we descend these dimensions by 10% each iteration, 1000 units requires 22 diminutions of 10% each to get to 100, as in the 22 Hebrew Letters, or as Abraham described them in the Sefer Yetzirah, the 22 cubic building blocks, and also as in the 22 paths that connect the sefirot in the Tree-of-Life. Please note the science used by the ancient kabblaists may have been divinely given but it is no less accurate or precise than our modern physics, which also divides our existence into 10 dimensions. Therefore, there are 66 iterations in total when diminishing the light of 1000 to 100 to 10 to 1. The symmetry aside, those 1000 are as One (1) in that the Hebrew word for 1000 is elef (אלפ), which is exactly the same as alef (אלפ), the first Hebrew letter, of numerical value 1 (one). In short, the alef (א) is Binah, a primordial existence that preceded the Bet of Bereshit in the Torah. As a completeness, 1000 is also the end since Ketz (קץ), meaning “the end” of numerical value 1000, and spelled with the initials of North Korea in Hebrew (צפון–קראה). First, it must be explained that we inhabit a 3-dimensional world and that as the Zohar enlightens, the most basic shape in our world is the cube, which is why the 1000 letters of the Shema form a cube of 10 by 10 by 10, or 103. 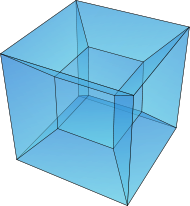 When that cube expands to connect with the 50 gates of Binah in the 4th dimension it forms a hypercube, which because of math and physics has 42 faces and 72 vertices and 72 edges. This is why the 4 paragraphs of the Shema have 50 letters in first 2 verses, 42 words in the first paragraph, 72 words in the second, 50 words in the third, and 72 in the fourth. This is hard to visualize and we need not be able to do it. We should, though, connect the 42 words and the 72 words to 42-Letter Name and 72 Triplet Names of G-d respectively, and we should use the entire prayer to elevate our consciousness toward Binah. 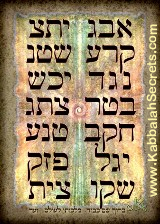 Each Name and letter is a portal or port in the sea of Binah. It is not a coincidence that Sea, Yam (ים) has the numerical value of 50, just as it is no coincidence that there are 50 years in a jubilee year, which we were told to start counting exactly 3330 years ago. This time we are all captains of our own ships, and if we do not unfurl our sails in time no one will do it for us. The Zohar in Ki Tetze further explains that in the end of days, we will strike, Samuel, the evil minister of the Erev Rav 50 times, corresponding to the ordinal value in the 3 letters of the first word in the shema (שמע) and that we would strike out the wickedness from within us at the limit of 39 times, as in the value and also the ordinal value of the last two words (אחד יהוה) of that same first verse of the shema. The Zohar relates those 50 strikings (beatings) of Samuel to the 50 letters in that verse combined with the silent Baruch Shem verse that follows it. When we recite the Shema with the right intentions we can beat away our accumulated negative klippot that block out the light that G-d so wants us to receive. This is a precious gift given that our world is so thick with negativity. We need to use it, not forsake it. (יהוה אלהינו יהוה ישראל ) with each of the 4 (ד) letters Yud(י) having the numerical value of 10. Indeed, like the mezuzot on our doorposts, the Name of protection, Shadai (שדי) is embedded in that verse. We should keep all this in mind every time we do the Shema, along with the fact that the first and last words of that verse (שמע) and (אחד) together have the numerical value of 424, Moshiach Ben David. As the Erev Rav does everything in their vast powers to prevent this unification we must unify ourselves by making these selfless connections in the name of bringing Moshiach Ben David into our world, which is why G-d placed these connections with the Shema, the prayer of unification. G-d hid even more treasures for us within this first verse. The first four words of the Shema (אלהינו יהוה ישראל שמע) have the complete gematria value of 1215, which we know from Rav Abulafia is that of “70 Nations” and “permutation of the letters.” It is also the value of the word Tikune (karma) and of Va-etchanan, the key word that indicates how many times Moses beseeched G-d to let him enter the Promised Land and thus end our Tikune and bring about Binah. Normally, Va-etchanan is considered without its sofit value and thus only 515, representative of tefila (prayer) and the 515 hours from Rosh Hashannah to Hoshannah Raba. Many of the tzaddikim today think this Hoshannah Raba marks the time of the profound shift. When concentrating on the first four words of the Shema (אלהינו יהוה ישראל שמע) we too are beseeching G-d to help us overcome our tikkune and our global tikkune, using the Hebrew letters to unite us as channels for the 70 nations of the world. This is also one of the reasons the word Shema שמע is written in the Torah with an enlarged letter Ayin (ע) of numerical value 70. We know from the Zohar that all the enlarged letters in the Torah connect us to Binah, including the enlarged dalet (ד) of echad (אחד) that the Zohar instructs us to elongate its pronunciation significantly as we mediate on the 4 exiles merging into one and ending now with Moshiach Ben David. G-d always builds redundancy into everything that is important to us because it is known that we are stiff necked and need to see things repeatedly before we realize things are not coincidental. That is why we did not get it the first time and were thrown out of Gan Eden. That is why we did not get it the second time, and rejected G-d’s voice on the eve of the 50th Gate in 2448, after 49 jubilee years. That is why it has taken 66.6 more jubilee years to prepare us. The milui or spelled out value of the two letters Ayin (ע) and dalet (ד) plus the kolel of 1 for their unification is also 1215. The Zohar explains that Moses was the Sun and he set into the stillness of the night to let Joshua shine as the Moon. 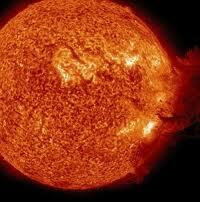 It further explains that in the end of days, Moses, as the Sun, will rise to help redeem us. 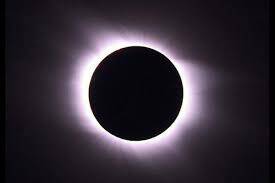 With the sign of the eclipse, the Sun regains its rightful place. Rabbi Shimon tells us that Moses is the Leviathan that swims in the Sea of Binah. The first four words of the Shema also equal the value of Leviathan (לויתן) and the first 4 letters of Leviathan (לויתן) have an ordinal value of 50. During this profound connection, part of our kavanot should be to meditate on linking our consciousness with Moses, the Leviathan that swims in the Sea, represented by the 50 letters of the unified Shema and Baruch Shem, Zeir Anpin with Malchut. The final two words of the first verse (אחד יהוה) have the complete gematria of 78, which as Rav Brandwein explained to me many years ago is symbolized in the initials of Etz Chaim (עץ–חיים), the Tree-of-Life, the consciousness of which we have the ability to achieve this year, in 5778, when the Gates will open for us for the first time in 3330 years. Those two words (אחד יהוה) Meaning G-d is One echo throughout the next 4 paragraphs. The Zohar explains that the letter Vav (ו) of numerical value 6 represents Zeir Anpin and the expansion of space in 6 directions, which is why there are 6 letters in each line of the 42-Letter Name matrix. In the 50 letters of the first verse and Baruch Shem of the Shema there is only 1 word beginning with the letter Vav (ו), V’ed (ועד). There are 13 words beginning with Vav (ו) out of the 42 words of the Shema’s first paragraph, and there are 42 words beginning with Vav (ו) in the Shema’s remaining 3 paragraphs. Within the limitless technology built into the cubic Shema matrix, we have been given a formula of 1 – 13 – 42 to help unify us with G-d. Echad (אחד), One – Ahava (אהבה), love and Echad, One (אחד), each being of numerical value 13 – and the 42-Letter Name of G-d, the understanding of which Rav Brandwein explained would bring about the Geula (final redemption). There are 599,592 or (600,000 – 408) component letters in the Torah and the first word of the Shema’s four paragraphs, V’ahavta (ואהבת)meaning “and you shall love” has the numerical value of 408 with the prefix (ו). Moreover, 408 times 6, the numerical value of the letter Vav (ו) is 2448, the year the Torah was given to Moses, 3330 years ago, the last time the Tree-of-life reality was available to us. The message is clear: Love is the missing link; love and a desire for oneness with the Creator is what will overcome the hatred being spread by the Erev Rav and their ministering serpent throughout the world; love is what will unite us and connect us to Binah. The four words that head up each of the 4 paragraphs, without their letter vav(ו) prefixes add up to 2019, the time when the window closes, and the upper and lower worlds will have separated once again. Being the beginning of the era of Binah, it is a time beyond the Zeir Anpin (ו). Including the first verse, the 5 initial words of the 5 paragraphs the kolel add up to 2448, as in the year 2448, which was the last time that unity existed, albeit briefly. The year 2448 was the time that 600,000 Jewish souls stood as One before G-d. Is it odd then, unbelievable perhaps, that the Log of 600,000 is 5.778. Or that One over those 600,000 souls divided by the 70 members of Jacob’s family who entered Egypt, divided by the 12 tribes, divided by the 3 Patriarchs equals exactly 42. This equation was given to us by the Arizal and shows us why the 42-Letter Name, also known as the Ana B’koach, is embedded into the Torah’s first verse: its power to unify us. In VaEtchanan, just prior to the giving of the 10 Commandments and the verses of Shema Ysrael…, in Devarim 4:40 Moses states, “…Then you will endure a long time in the land that God your Lord is giving you for all time(כל–הימים) ,” and in the words “All time,” literally “all the days” we have kol(כל) with the numerical value of 50 and H’yamim (הימים) with the value of 666 including the kolel, which reveals to us once again the equation 50 x 66.6 = 3330 years. Moses begins the verse with, “I am presenting to you today, so that He will be good to you and your children after you. Then you will endure for a long time in the land that God…” This phrase within the verse has the numerical value 5777, and is only one of 13 phrases in the Torah with that value. As we know, the number 13 is the value of ahava (love) and Echad (one) and what we desperately need to cling to in these days. It has been hinted at in so many ways how to count the days, all of them, and the years until Moshiach. It is not just any love we need to embrace; it is unconditional love. The first paragraph of the Shema, the one with 42 words, begins with the letter Vav(ו) and ends with the letter Caf(כ), as do all 5 verses in this paragraph, as do the first 21 words in the paragraph and the second 21 words in the paragraph, as does the final word and 3 other words. 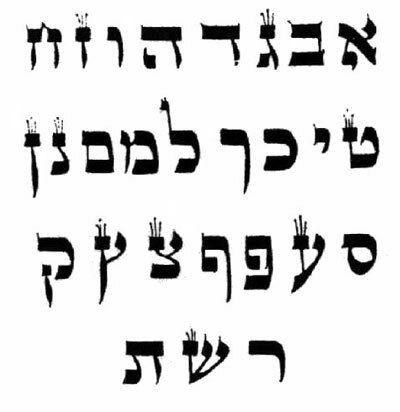 The letter combination Vav-Caf(וך) is easily recognizable as that of 26 and the Tetragrammaton (יהוה), though arranged with the Caf(כ) in the sofit (final) position, its more appropriate value would be 506, which is not only the value of the first line of the 42-Letter Name matrix, but it is also the value of the words for unconditional love (Love for no reason) and it is the complete gematria value for Moshiach Ben David. And as mentioned in The Genesis Prayer, the 14 triplets in the 42-Letter Name are found exactly 506 times in the Torah. With the addition of one word that begins with Vav-Caf (וכ) there are 13 instances of this connection to unconditional love and Moshiach Ben David in the paragraph of 42. Do we really need any more redundancy? 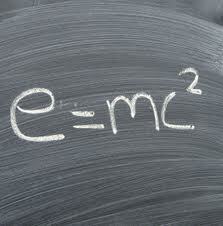 Can the message and equation 1 – 13 – 42 be any clearer? When the signs and the times get darker and people ask where is G-d, we must ask ourselves could He have tried to help us anymore, given us any simpler tools to connect with what is truly important: Love – Moshiach – Unity? If we are going to say the Shema twice a day, at least we should say it with the right intentions. If we are going to say the Ana B’koach within our prayers, at least let it elevate them properly. If you want an arrow to hit its target you must aim it—there is no other way. For 3330 years most of us have been releasing our arrows in empty fields. You may ask why it is important to tune into this exact frequency of 216 x 2 or more specifically, 432 Hz; after all, your cell phone works whether you understand the technology or not. The questions really are whether you want 1 bar or 4, 3G or 4G, static and dropped calls, or a clear channel to the upper world. Like the 23 words in the Blessing of the Cohenim, these 23 verses align with the 23 chromosome pairs in our DNA in the same way that the 206 words of the Shema that are not in the first paragraph of 42, align with the 206 bones in our bodies. Another way we can tune into the 432 Hz frequency of Binah is when we recite blessings. We start most blessings with the word Baruch (blessed), whose sofit value is 708, as in the value of 42-Letters in the fully iterated Upper 42-Letter Name of G-d, the station hub above for clearing all the prayers and messages. As the Arizal explains, no prayers get processed with the 42-Letter Names. It is not coincidental the Israel became a nation in 5708. We follow Baruch with Atah Adonai (אתה–יהוה) whose numerical is 432. Thus, with each blessing (ברוך‐אתה–יהוה) that we say, or that we say Amen to, we can connect directly and clearly to the spiritual Sea of Binah. And speaking of Israel, the 6 words of the Shema’s first verse in normal gematria sum to 577 plus 541, the numerical value of the 2nd word in the verse, Israel, while the initials of all 6 letters with the kolel equal 333, as in the 3330 years to 5778, when Israel becomes 70 (ע) and the 4th (ד) exile ends. The final letters add up to 120, as in the lifespan of Moses, the redeemer. Once decoded by simple gematria, it is quite a story this verse is telling us, yet it means nothing if we do not listen to the message, which is why the verse states “Shema Ysrael (Hear O Israel…).” Many of us say the Shema two, three times a day, yet are we listening? As the Earth circles the Sun at 66,600 for the last year in this era, we conclude the Shema prayer with its final word, “your G-d (אלהיכם)” of numerical value 666, and what do the four final letters of the four final words of the Shema sum to: 1215. Eleichem (אלהיכם) has a complete gematria of 729, which is quite fitting for the last 6 letters of the 10 x 10 x 10 cube we call the Shema since 729 is 9³ or a cube of 9 x 9 x 9. The number 729 is also the value of the 2nd line of the 42-Letter Name(קרעשטן), which spells kara Satan or “tear out Satan,” the evil within us and amongst us, not a bad idea if we want to connect with Binah consciousness this year. The Zohar describes the expansion of space from zero(0) dimensions to One (1) dimension, represented by the (vowel) point and by the Yud (י), and then the second dimension is the line, or Vav(ו). 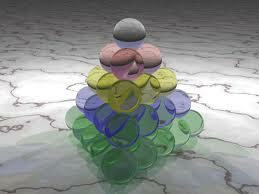 In the 3rd dimension the Vav(ו) expands to 6³ or 216 and the Yud (י) expands to 10³ or 1000. Together they add up to 1216, which is 1215 including the kolel of 1. If we were to add 6³ + 10³ + 9³ plus 3 for the 3 components we would get 1948, as in the year Abraham was born (1948 HC) and as in the year Israel became a nation, 1948 CE (5708). 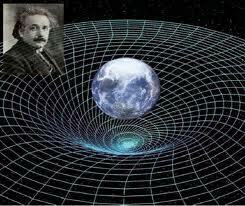 There is a definite structure to our universe, including our physical universe. Our space is ordered and defined and so is our time. Rosh HaShannah is upon on, and the Arizal teaches us that this second line of the 42-Letter Name(קרעשטן) is the crucial element in the kavanot of the Shofar blowings. Jews and like-minded souls of all degrees of faith and denominations will be praying at the same time. Let us use our new knowledge to synchronize our prayers in unity for the coming of Moshiach and the ability to shift our consciousness from our physical world and desires to that of Binah, the World to Come. 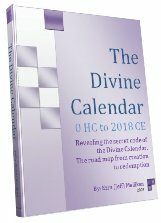 In our first article of this series we discussed how both the Celsius and Fahrenheit temperature scales aligned perfectly with the specific structural design of the Future Holy Temple and how the Kelvin scale and the surface temperature of the planets aligned with the dates given by the tzaddikim for the final redemption. Next, we explored how the Temple and Torah formed and further aligned with the multi-dimensional Tree-of-life, forming hypercubes, including one with a telltale finger pointing to 314 (Pi). Then we discussed how the courtyard and Alter design of the Future Holy Temple mimicked the skeletal bone structure our bodies, and how it all ties in with Ezekiel’s prophecy of the “dry bones” resurrection. We’ll go back and examine the connection to the mathematical constant Pi and the Torah and the design of the Future Holy Temple and prove that the Hebrew Alef-bet, the Ana B’koach (42-letter Name of G-d) and the Torah were constructed utilizing that primordial constant to at least 6 decimal places of accuracy in a later article in this series, but today, we’ll concentrate on the equally alluring primordial constant Phi and how it relates to the Holy Temple and the final redemption. So there are 54 bones in the hands and 54 bones in the body’s central column (22 head and 32 spine), and our brains’ internal timing mechanism is 54 beats/minute, what of it? 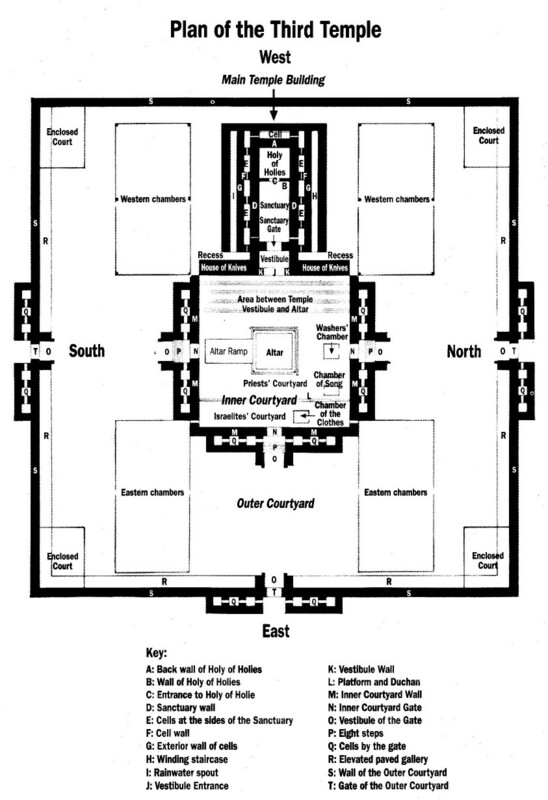 Let’s first note that the walls of the Holy Temple are 6 cubits wide, so when we add their width to the 312 cubit width of the outer courtyard, we get a total of 324 cubits or 54 x 6 = 324. The number 324 is also 182, or the numerical value of chai (life) squared. It’s also, not coincidentally the numerical value of Moshiach Ben David raised to the 4th power, (4.24264). Moreover, it also means that the Outer Courtyard of the Holy Temple was designed so that its outer wall perimeter is exactly 64 cubits in total. 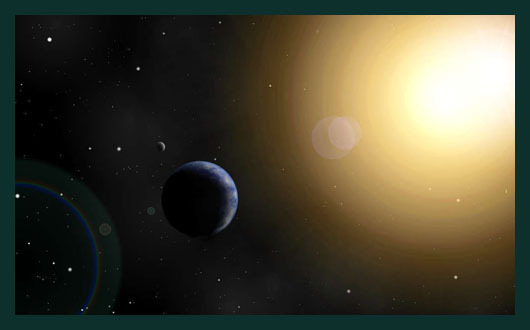 When discussing the temperature scales, we noted that 5778 K was the surface temperature of the sun, and that this is suspiciously the same year given by Rav Ashlag, etc for geula, final redemption, 5778 (2018 CE), and that if the surface temperature of the sun were even 1 degree cooler or warmer there may be no life on Earth as we no it at all. Now, as it just so happens, the proportion of the Holy Temple’s Outer Courtyard, 312 cubits, divided by 5778 is .054 or 5.4%, and while 54 x 107 = 5778 and the sum of all the positive integers through 107 equals 5778, the number 54 times 5777.777 exactly 312,000. The length of 5778 inches itself is exactly 3 inches more than 210 cubits with 210 being the number of years the Israelites were in exile in Egypt, and also the height in cubits in and levels of Joseph’s Pyramid. If we venture back to the perimeter of the walled courtyards for a moment, we can also see that the sum of the perimeter of the 32 x 32 Alter, the 112 x 112 walled Inner Courtyard and the 324 x 324 walled Outer Courtyard is precisely 6.57784 in total. Coincidental? 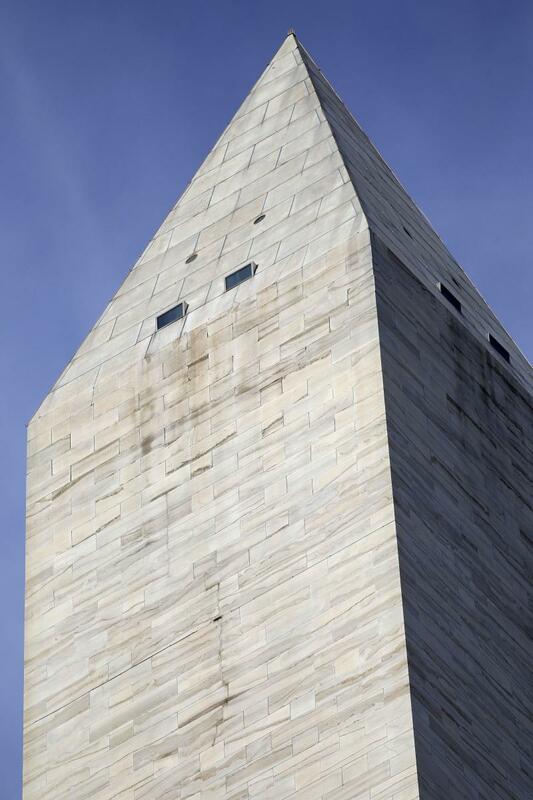 Of course, without the walls, the same sum of the perimeters is 1776, as in the date of the founding of the United States of America, and also as in 1 more than the sum of the 27 letters of the Hebrew alef-bet (1775). Moreover, the exact triple point of water, the term our current physicists use, is precisely 32.018, which not only conveniently still points to 32, but it is also oh so evocative of the year 2018 combined with the number 3 as in the 3rd Temple, which is the 3rd opportunity for us to achieve the Tree-of-life reality, the previous one being exactly 66.6 jubilee years earlier, in 2448 HC at Mt Sinai. In our previous installment we explained about the 206 bones in our bodies and the various connections to 206 in the Holy Temple, including the collective height of the 5 inner gateways leading into the Holy of Holies. Thus we can understand the relevance of the equation 206 cubits x 3000 cubits (the width of the full Temple Mount) = 618000 = 106 x Phi, the primordial mathematical constant that controls harmonic spiraling growth in our universe, (.6180). So given the connection between Phi and 206 in the structure of the Holy Temple and that there are 206 bones in our bodies, which incidentally conform to the Phi proportion themselves, and given what we’ve learned about the year 5778 from Rav Ashlag and others, it’s interesting that 5778/28 = 206.3571 and that 3571/5778 = Phi (.6180339) precisely to 7 or more decimal places. 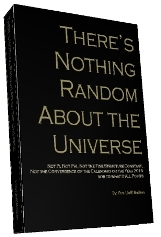 As is revealed in the book, “There is Nothing Random in the Universe,” there are deep connections to the number 28, Phi, and 5778 way beyond the first verse of the Torah having 28 letters, so it’s most probably not coincidental that Ezekiel’s prophecies of the geula and the dry bones occurred in 28 verses, or that time is measured in 28 segments, according to Ecclesiastes (3:2-8). Therefore, it’s possible to view the 5778 year period as a process whereby we were meant to cleanse ourselves (our souls) to account for everyone of our 206 bones that are to rise up at the end of days. And, of course, while the 42 Letter Name of G-d, the Name meant to help the journey of our souls and to help us reach the final redemption (the Tree-of-Life consciousness) according to the tzaddikim, is derived from the first verse (28 letters) of the Torah, we should note that 28/42 = .666, the Kabalistic proportion representing both Zeir Anpin and the relationship of the upper to the lower worlds (sefirot). And equally significant is the relationship of 28 x Phi (.6180339) = 17.30 since 173 is the small gematria value of those 42 Letters, referred to in the Zohar as the 173 keys to Heaven given to Moses. Counting on The Tabernacle, Part II; Building the Tree-of-life. As discussed in Part I of the Tabernacle, we know from the Zohar, The Book of Splendor, that the construction of the Tabernacle, Mishkan, is connected to the act of Creation in the first verse of the Torah (Bible). 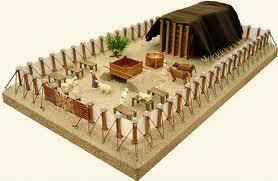 So let’s examine all that money (metal) collected to built the Tabernacle, Mishkan and see what shakes out. Now, it’s relatively easy to see that the 1775 shekels represent and are connected to the 27 letters of the Hebrew alphabet which have a total gematria value of 1775. Moreover, the 70 talents of Bronze is most probably connected to the 70 Nations, the 70 years, etc, and also the 70 faces of the Torah. And even more so, since the square root of the 4905 shekels is 70.03571 and 3571 is exactly (5778/Phi), or precisely Phi17. Now, let’s leave the 1775 Silver Shekels out of it for a second, since they were for a special counting, and we have 29+100+70+730+2400 = 3329. And since the Torah makes a special point of telling us that the Mishkan was built in the 2nd year of the Exodus, (in 2449), we get 2449 + 3329 = 5778 (2018 CE), the year prophesied by Rav Ashlag and the tzaddikim for the geula, the final redemption and the advent of the Tree-of-life reality. And since a talent = 3000 shekels, we see that there is an extra mixed talent of metal currency that can be separated from the shekels, leaving us with (4905 – 3000) = 1905, and giving us a total of 200 talents and 1905 shekels in all that was contributed to the building of the Tabernacle. And since we’re looking at the Torah’s first verse, it’s interesting that the 27th letter is Resh (R), of numerical value 200, same as the 200 talents. And if we were to add the 28th letter, Tzadi (Tz) of numerical value 90, to 4905, we’d get 90 + 4905 = 4995, which is the gematria sofit value of all 27 letters of the Hebrew Alphabet. Obviously, the contributions of the Tabernacle are all about the letters (or the light/energy in them). Is this reaching? You decide, since the total value of the verse is 2701, which is equivalent to the sum of all the positive integers through 73, as in the 730 shekels of gold used to built the Tabernacle, and since the square root of 730 is 27.01…. First of all, the numerical value of the 7 letters (BETEEMZ) add up to 535 and with an adjustment for the kolel of the letters and the equation, we get us 541, the numerical value of Israel. These 7 letters correspond to the 7 triangular numbers: 1, 3, 6, 10, 15, 21, and 28, which collectively add up to 84, or 3 times 28, representative of the 3 metallic elements of the tabernacle and the 3 columns of the Tree-of-life, and 84 is the value of Pad (redemption), the union of the upper and lower 42 Letter names. Moreover, the sum of the ordinal value sofit of these 7 letters is 78, or 3 x 26, it is representative of the initials of the Tree-of-life, ayin (70) and chet(8), representative of the year 5778, as pointed out by Rav Brandwein. And the gematria sofit sum of the 7 letters is 1905 yet again, bringing us back to the Tabernacle counting. We discussed in numerous previous articles the connection between the brain’s natural rhythm/frequency (timing mechanism) of 54 beats per minute and its relationship to 5778 which is 54 x 107 = 5778 with the 107 triangular number being 5778, but we’ve recently learned that 54 is also the complete cycle of the 27 letters with its returning light of 27 letters. And as stated above, the standard gematria sum of the 7 triangular letters in the Torah’s first verse is 535, which when multiplied with 54 x 2 or 27 x 4 = 57780, two complete cycles. And this becomes all the more interesting because when we multiple the 7 triangular numbers by their respective letters and sum them all up they equal 5790, which is 12 more that 5778 and when we adjust for the kolel in the exact same way as above, we get 5778 yet again. And given all these connections to 5778 (2018 ce) is it inconceivable that the complete sofit value of these 7 special letters within the 28 is 2018 utilizing the kolel of 7 and 28 letters: 1905 + 78 + 28 + 7 = 2018. Or that the gematria of the 2 words of the 7 words of the Torah’s first verse not utilized in the special letter sequence above is 616, which is that of “The Torah (H’TVRH). And you might say skeptically that 2018 could point instead to G-d’s Covenant with Abraham which occurred in 2018 HC, but we know form the sages that the final letters in verse of phrase point toward the future and the final letters in the initial 7 word phrase in Pekudei (“These are the accounts of the tabernacle which were calculated”) add up to exactly 2019: “ELH PKVDY HMShCN MShCN HADT EShR,” which may explain why the Torah chose to double the word Mishkan. And without the sofit, the gematria of the first 6 words less the kolel for the 24 letters in them adds up 2017. I wonder if the Torah is trying to tell us something? Oddly, the initials of these 7 words add up to 212, that of “The Light,” and they spell out H’Pe M’H’Pe, “The letter Pe from the letter Pe.” Just something to think about, considering the 4805 letter Pes in the Torah and their connection to the Mishkan. The Torah, Tabernacle, Creation, the 27 Letters, triangular numbers, Phi, the brain’s frequency (54 B/Min), the surface temperature of the Sun (5778 K) and a dream that revealed quantum physics. And what runs through them all: The Light of G-d.
All that said, let’s look at those 199 talents and the 4905 shekels a little differently because of the 304805 letters in the Torah, 4805 of them are the letter Pe, and those 4905 shekels represent 4805 plus 100, synonymous with keter (the crowning sefira/dimension) and the numerical value of the spelled-out letter Caf (CP). Thus 4805 and 100 equals the 2 letters in Caf (CP). Moreover, 100 is the numerical value of the letter Koof(K) and since the value 4805 represents the letter Pe, together they form the first two letters in Pekudei (PKVDY, counting), the name of this portion, 23rd of the 54 portions in the Torah. 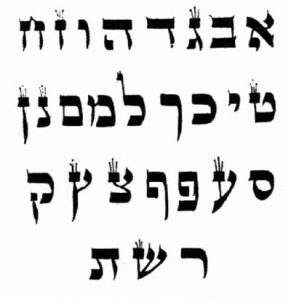 The other 3 letters in Pekudei (PK(VDY) permute to the spell-out letter Yud (YVD), and the total value of the word Pekudei is 200, as in the 200 talents. It’s not surprising that the Mishkan would connect to Keter; nevertheless, there’s more to this. First we must understand the dynamic construction of the Tree-of-life as revealed by the Arizal in his explanation that the 100 talents of silver collected correspond to Keter, and that they were used to create the ground supports of the Tabernacle’s columns, which are malchut. 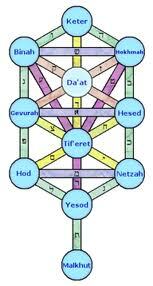 The metaphor is easy to understand, as the sefirot are arranged as a tree (column) and what receives and holds up the tree from the base, is the sefira of malchut. 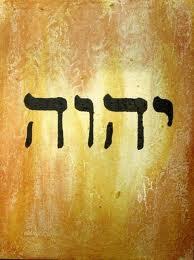 For those that understand, this is deep wisdom: Keter is One, Echad, as in God is “One.” It’s inseparable. From Keter the light expands level by level through the 10 sefirot (dimensions) spreading out without diminishing in its entirety. And from each one of these levels the light further divides by 10 sub-levels, and then again. First 1 then 10 then 100 then 1000, each one considered keter because they represent the complete light and not an aspect of it. Yet 1 remains keter of keter of keter, and 100 represents the light stretching from that point all the way through the 10th level of malchut (malchut of malchut) and similarly with 1000. We’ll get back to this important dynamic structure in a moment, but let’s view that 100 shekels as 1 talent, or keter spread out through malchut of malchut, and thus 1 = 100 = the light of Keter fully disseminated through 100 sub-levels. Thus is we transfer 100 shekels to the talents we have 200 talents and 4805 shekels, and following that logic, the 200 talents would equal 20,000 shekels, making the total 24805. It just so happens that the 5 Names of the 5 Books of Moses equal 2480 collectively. And moreover, since 200 is the value of the letter Resh (R), those 200 talents and 4805 shekels together represent the combination Resh-Pe, of value 280, the numerical value of the 5 final letters, that complete the 27 letters, which added up to 1775 shekels, so the allusion is not without merit. And as the Zohar explains, the 5 final letters connect us with the time of the geula, final redemption. The Hebrew word for “talents” is spelled CCT, beginning with Caf and ending with Taf, thus stretching from Keter (CTR) to the final letter Taf, thus malchut. Malchut, meaning kingdom, has a digital value of zero because it is an endpoint more than a dimension; it reflects light rather than shining with its own. Malchut is a world created totally of illusion however real it feels to us. Malchut can be visualized as a screen on which the light of the other worlds (dimensions) are projected. So when the light has reached malchut of malchut of malchut, it has shone throughout the entire Tree-of-life and is considered complete, and thus called keter and is fully 1000. From the aspect of the vessel (Malchut) it is zero, but from Keter it is 1000. At keter of chochma for example the light level is 20, while at tiferet of chochma it is 26. Thus each number has a place (space) within the Tree-of-life. Tonight is the hillula of Moshe Rabeinu, may we merit to see him soon. The numerical value of Moshe (Moses, MShH) is 345, so Moses’ place within the sefira would be Gevurah of Chesed of Da’at. We will be concluding the 10 Commandment series shortly with the explanations of how the 10 Commandments have laid out the final years to 5778 (2018) and how the devastation in Japan and the tragic events of the past 10 years have fit snugly into it. B’H we awaken soon. Our prayers go out to the Japanese. Author Jeffrey MeilikenPosted on March 13, 2011 Categories RevelationsTags 1775, 200, 2017, 2018, 2019, 26 YHVH, 27 letters, 2701, 345, 4805, 4905, 541, 5778 54, 616, 77, 78, Albert Einstein, Bereshit, counting, gematria, Genesis, man, moses, Pekudei, shekels, talents, Torah, tree-of-life, triangualr numbers6 Comments on Counting on The Tabernacle, Part II; Building the Tree-of-life.